Libby's great aunt, Lobo, is from Mexico, but the United States has been her home for many years, and she wants to become a U.S. citizen. At the end of the week, Lobo will say the Pledge of Allegiance at a special ceremony. 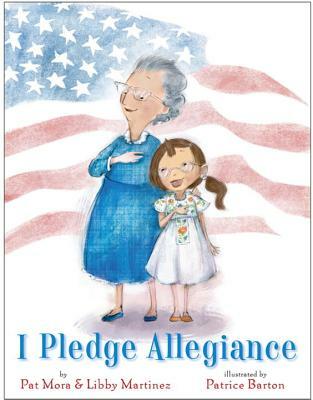 Libby is also learning the Pledge this week, at school -- at the end of the week, she will stand up in front of everyone and lead the class in the Pledge. Libby and Lobo practice together -- asking questions and sharing stories and memories -- until they both stand tall and proud, with their hands over their hearts.